This month has been filled with many beauty discoveries, but a few standout products have climbed their way to full-on favourite status... no small feat. Some of these are beloved for the results they give, while others have more of a novelty factor that keeps me coming back for more (can you guess which product I'm talking about?). 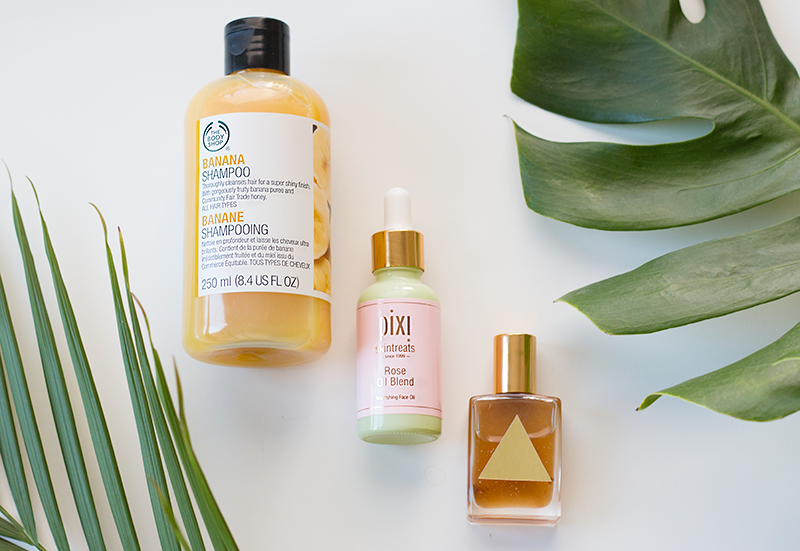 Read on for the deets, including a couple affordable bits that are total must-tries! 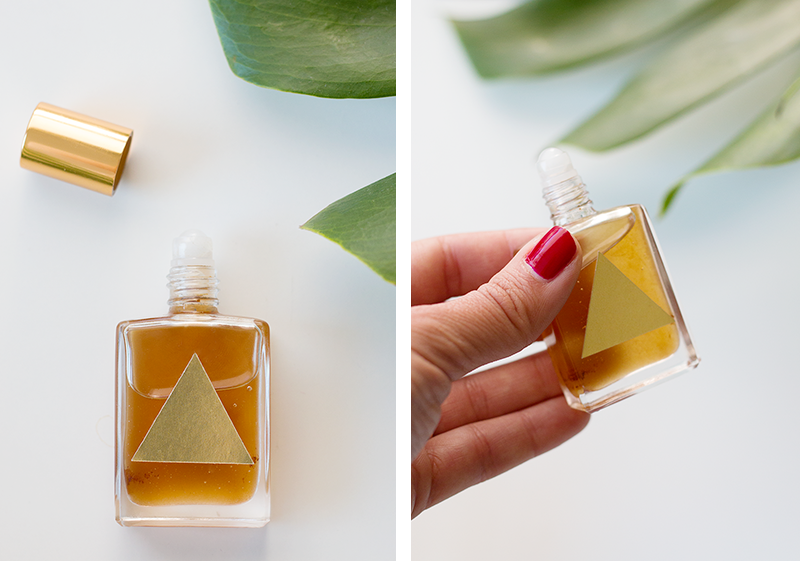 First up, a serum that's exactly as the name would suggest — a treat for the skin. 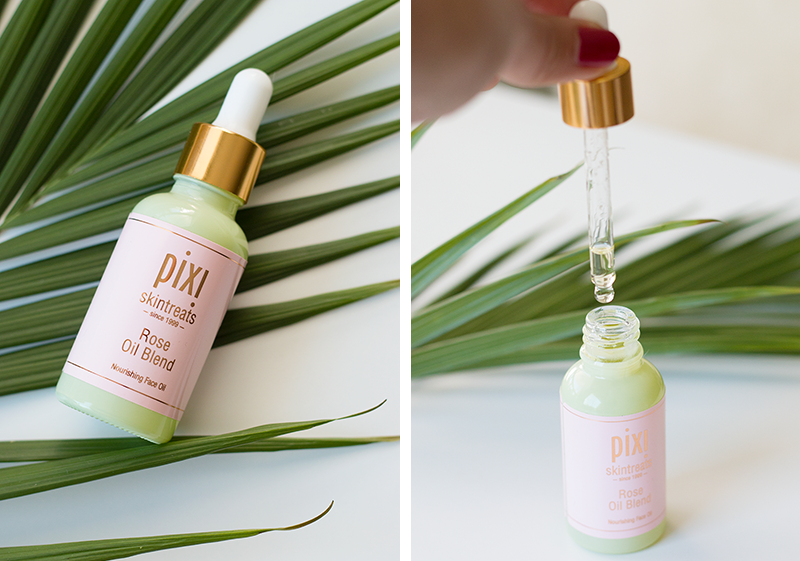 I'm a total sucker for rose-scented products, and this oil from Pixi nourishes my skin like nobody's business. 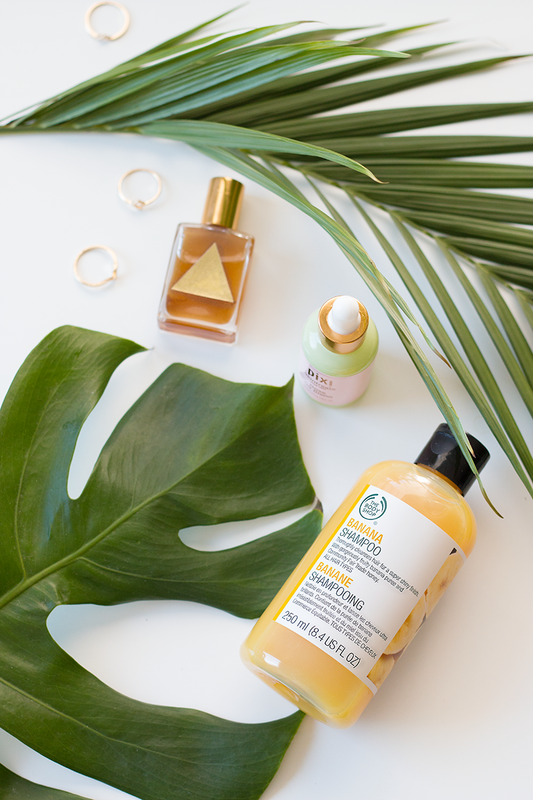 It packs rosehip and jojoba oils to help moisturize the skin, orange peel oil to help brighten and protect, and a bunch of antioxidants and vitamins to make the skin oh-so soft. Obsessed doesn't even begin to describe how I feel about this one. If you live in the states and have access to Target (lucky bastards), then you have full range of these products, but if you live here in Canada, you can order online from places like ASOS, Dermstore, Beauty Bay, Amazon and of course, Pixi itself. 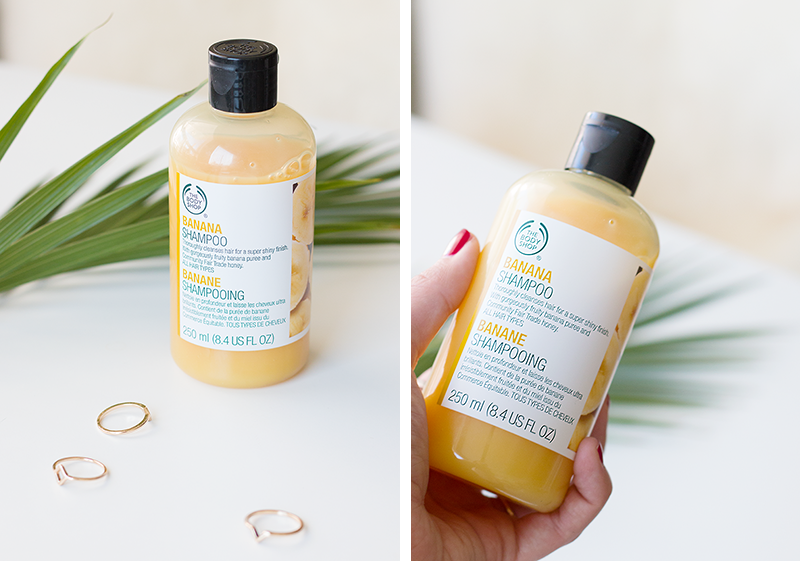 This is probably the strangest favourite by far, but I'm really loving this banana-scented shampoo from The Body Shop right now... I'm not even convinced that it does all that much for my hair other than make it smell like sweet, sweet bananas. But you know what? That's good enough for me. And for $10 a bottle (and with all the sweet buy one, get one deals and online sales The Body Shop always runs), this one's worth a try if you like bananas or, well, the smell of penicillin.